Beston Needs the Potential Agent in Pakistan! 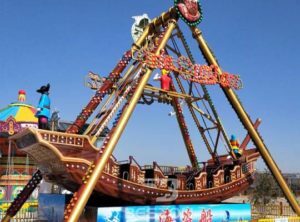 The above is Beston New Big Chair Swing, a new amusement park swing rides, which is very popular among kids and adults in amusement and theme parks. This new amusement park swing chair is a kind of spinning rides, just like the swing carousel. However, there is a difference: the swing arms. There are 12 swing arms which is steel not rope, which can bring a different feelings to passengers on this rides. The appearance is attractive and colorful, attracting more passengers’ attention. It sells well in Pakistan! Are you interested in this big chair swing? Feel free to contact us to get the latest prices here! The drop tower rides for sale in Beston is a welcomed thrill rides, which is also called free fall rides, gyro tower rides, etc.. As its name shows, riders on the drop tower ride can be go up and down suddenly at a high speed when it is operating. 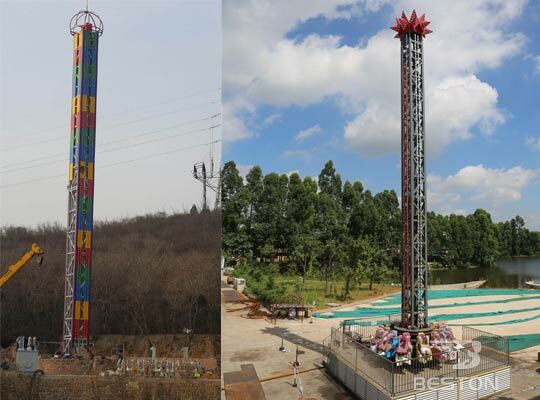 The drop tower is manufactured in different height with several cabins. Riders are restrained in the gondola to guarantee the safety. Riders can be lifted to the top or descended to the bottom in seconds with the gondola, which is very thrilling and exciting. 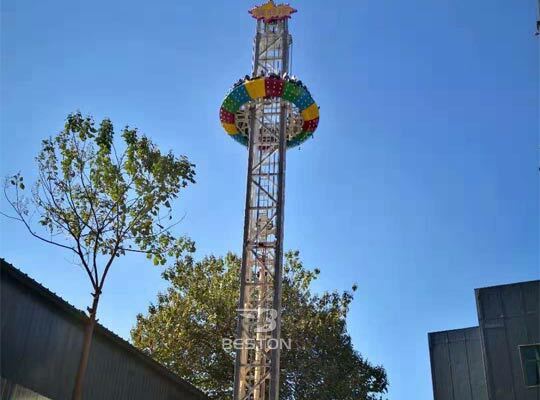 Beston, as the professional manufacturer in China can supply quality drop tower rides to Pakistan parks, which won many praise from our customers. This kind of kids rides in Beston are called Abo Qi, which originates from the Boeing AH-64 Apache helicopter gunships, the main and Advanced Attack Helicopter in America. It is composed of four plane-style cabins and each cabin can accommodate 2 people. And the cabins rotate around the rocket in the middle. 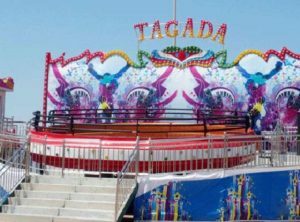 When the Abo Qi starts spinning, passengers can press the button to let the plane cabins to rides and fall, or stop in a certain height. Kids may feel they are flying in the blue air and can enjoy endless fun and delights. 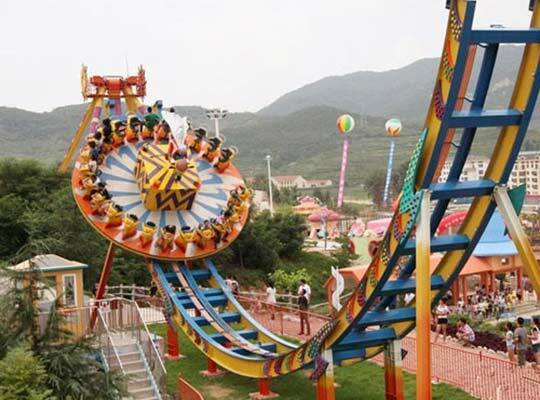 What’s more, it is commonly seen in the small entertainment center, such as parks, squares, malls, carnivals, fairs, resorts, schools and other big amusement parks, mobile water parks, theme parks and so on. 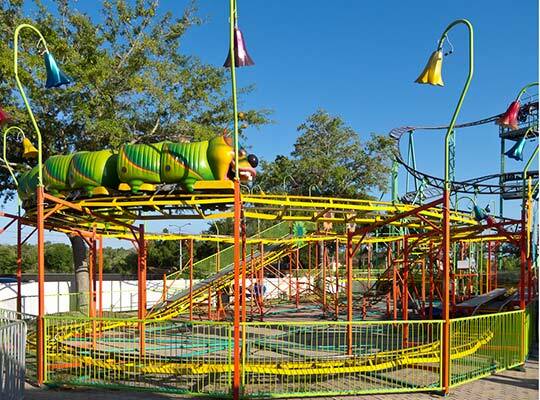 The Ladybug theme park rides is a kind of spinning amusement park rides, which can go up and down at the same time. It is mainly composed of four hardworking and vivid ladybug cabins and the mushroom. 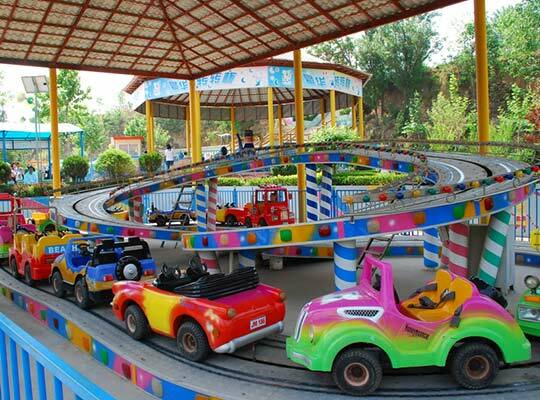 This is one of the most popular kids amusement rides popular in Pakistan. 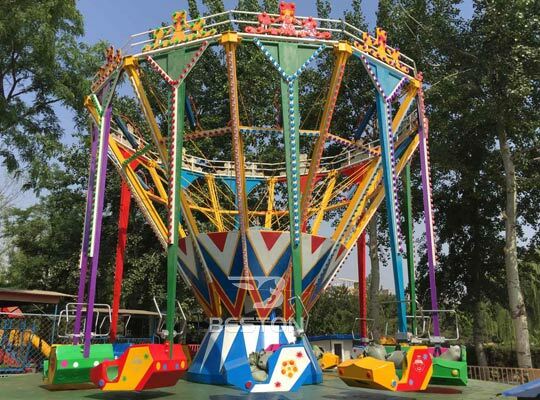 This rotary rides belong to the new small amusement park rides manufactured in Beston and have the advantages of unique design, attractive appearance, safe, superior quality and lower prices. 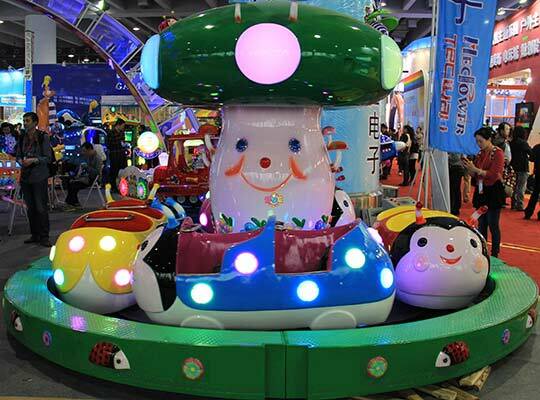 Beston kid rides are produced by the high quality fiberglass reinforced plastics and are equipped with flashing LED lights and advanced MPS player. Because it has features of strong adaptability, easy to install and removing, cute appearance and lower investment, the Ladybug rotary rides are well welcomed by customers around the world, especially in Pakistan. 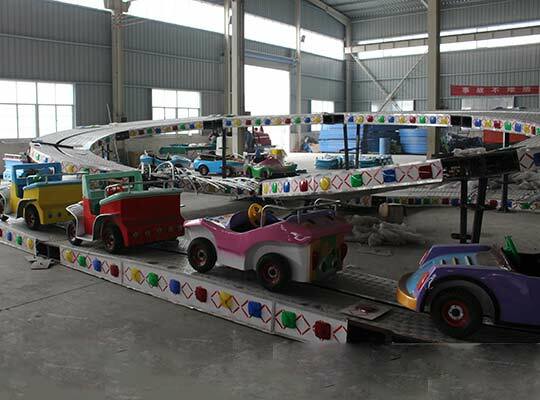 The above three models belong to the mini train rides with track and also is the small roller coaster for kids and families. 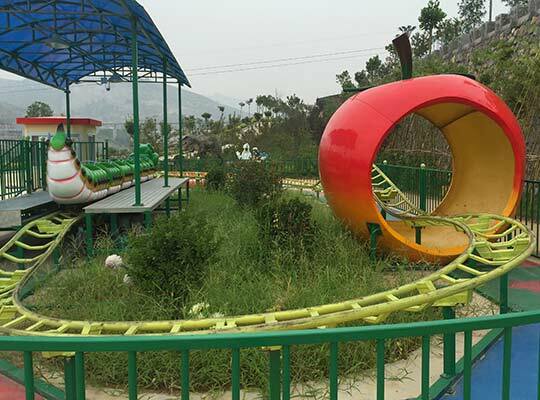 The wacky worm slide coaster, the fruit worm mini roller coaster and the dragon slides coaster are manufactured with superior quality fiberglass reinforced plastic (FRP). 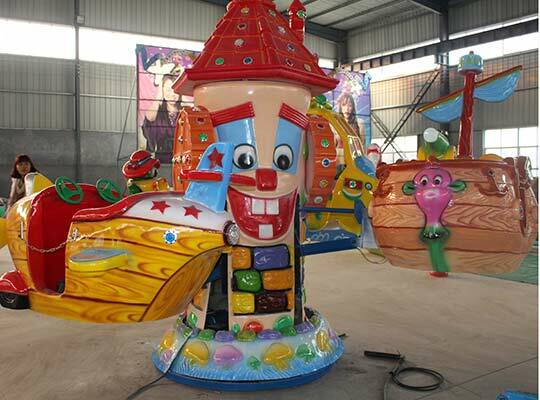 It makes this kids fairground equipment excellent quality, environmental protection, corrosion resistance, high stability and reliable. The main differences between the wacky worm and fruit worm roller coaster are on the track (wacky worm is single ring or double ring, while the fruit worm is just a circle) and the decoration (the big apple). 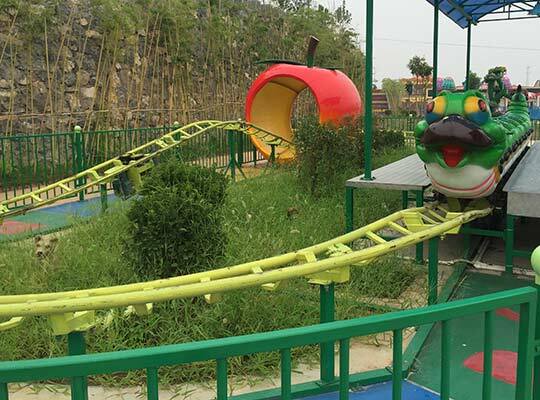 When the small roller coaster starts working, the wacky worm, the fruit worm or the dragon slide begin to moving quickly along the long track, which is filled with interesting and thrilling feelings. 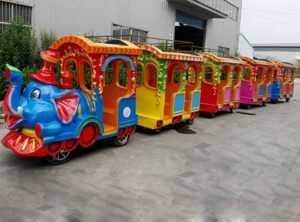 Beston mini shuttle car is the new type train amusement park rides and it is driving along the interchange track. 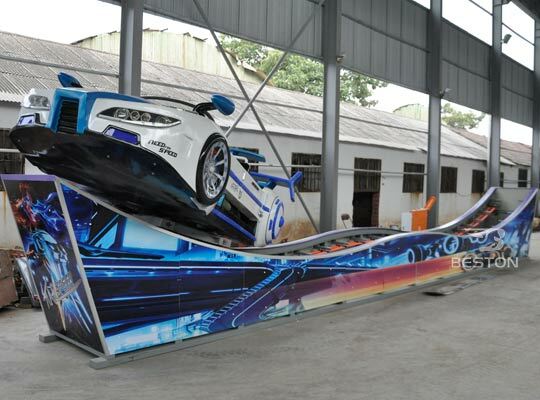 The track can be customized as one ring or double rings according to customers’ requirements. Generally, there are 10 cars running on the track and each one is different. And every driver runs simultaneously along the track direction under the control of automatic steering. 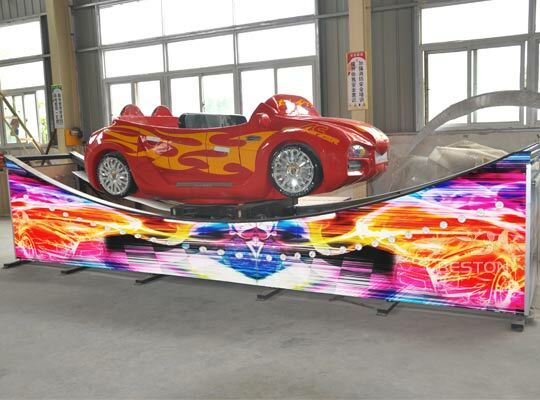 What’s more, this kiddie rides are equipped with mighty fleet of sports cars, colorful lights, beautiful music and children cartoon decoration. 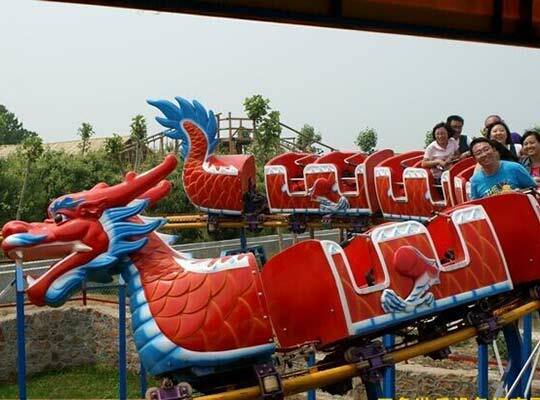 It is suitable for the amusement park, theme park, playground, play Area, children’s playground, etc. The rockin tug rides are also called mini flying car and is a kind of moderate thrill rides. It belongs to the flat rides and is mainly composed of the U-style track and the cars. The cars with the friction wheel can be driven to rock back and forth. And, at the same time, the rockin tug ride can rotates around the center of the car. Passengers may feel the car is flying in the air. Therefore, this mini flying car rides are favored by most of the kids and adults. The surf’s up ride is also called surfer up rides or crazy surfer, and can accommodate 16 or 20 passengers. 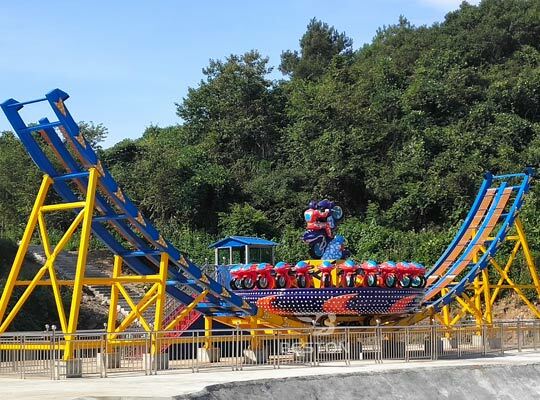 Beston surfer rides are manufactured with FRP and steel, which has the features of top quality, high satiability, safety, environmental friendly, energy saving unique design. It is the new and popular thrill rides for people. Passengers just standing on the skateboard can experience the fun of adventure from this rides. The giant skateboard of crazy surfers can rotate 360 degrees freely around its center. Meanwhile, the skateboard can swing along the track or orbit, just like they are on the sea, ups and downs. 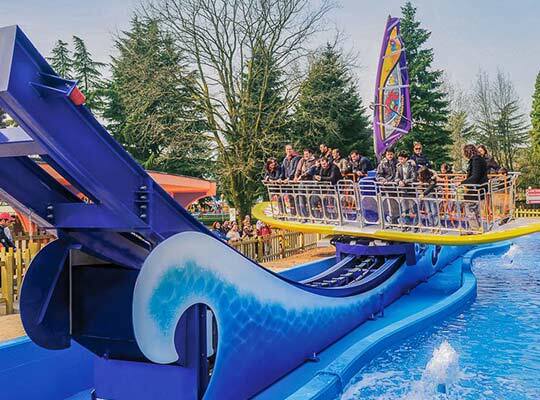 The surf’s up rides can be commonly seen in amusement parks, outdoor playgrounds, kindergarten, and fairground for carnival season etc. 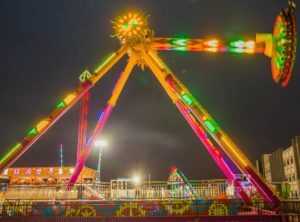 The disco rides, as the gliding amusement equipment, have a large and colorful disc on the track and the rides can sit 24 passengers. It also has other names, such as flying UFO or flying saucer. As the name shows, passengers on the rides can experience the feeling of weightless and feel they are flying in the space. The large disc rotates along the track as well as the disc itself spins slow and fast. Visitors in Parks of Pakistan love this crazy amusement rides. 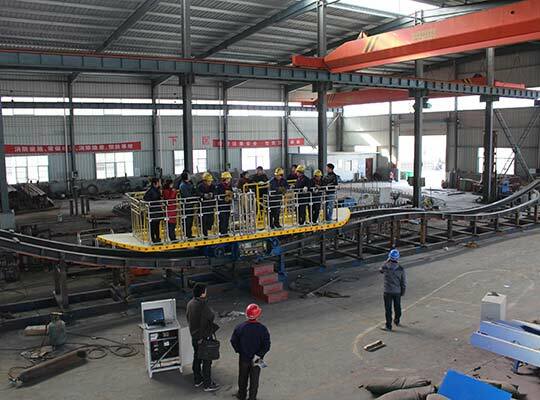 There are six main components of this flying UFO rides manufactured in Beston’s factory: track, turntable disc, stage, decoration part, safety device and electronic control unit. Besides, Flying UFO thrill ride is widely seen in any park, theme park, scenic spots and other places are very popular recreational project. 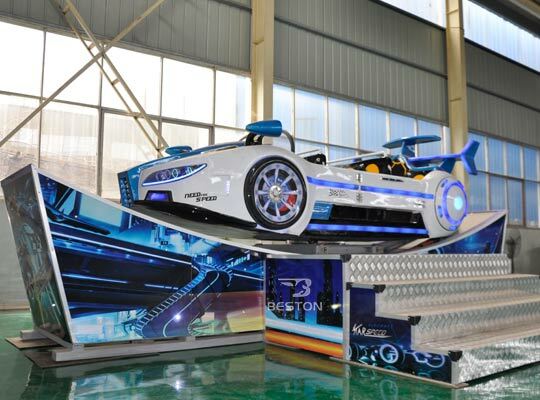 Beston robot amusement rides, as the latest and popular theme park equipment, is originated from the film called Transformers, and has become rider’s’ favourite after it emerges into the market of amusement rides. 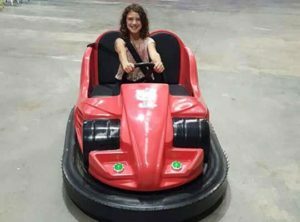 This Transformer Drift Car rides adopt the double rocker to operate the games and riders can control the rides conveniently and freely. 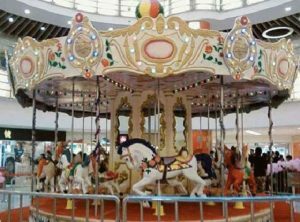 It is filled with exciting and interests and riders can make it move forward, backward or spin 360 degree. There is SD storage card inside the MP3 player to play songs according to customers’ willingness. What’s more, there is little requirement about the site area and it can move freely on any flat floor. 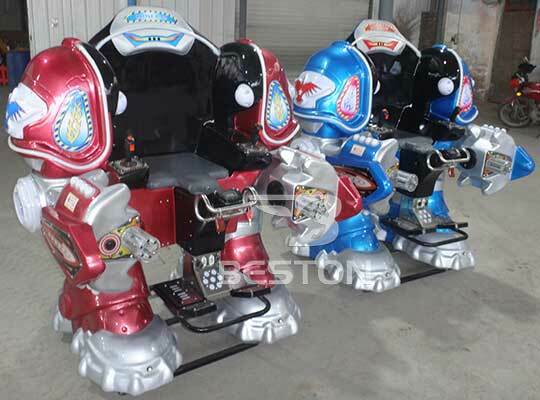 Therefore, the robot rides can be applied to amusement parks, backyard, funfairs, carnivals, public activity center, shopping malls, indoor and outdoor playground and so on. 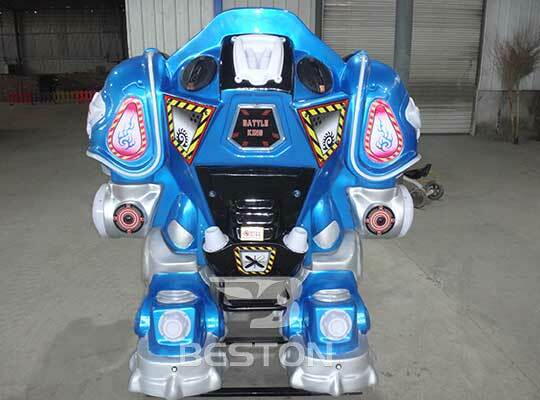 Because of its cool and colorful appearance, flashing lights, excellent quality and unique design, Beston robot rides has attracted a lot of visitors to come to buy here. Do you have any interests? Please contact us to buy this cool games! Interested in our kiddie rides? or Want the best prices?